Despite the kitschy names of so many its restaurants here in the States, I’m a big fan of the Vietnamese broth-and-noodle soup, pho. 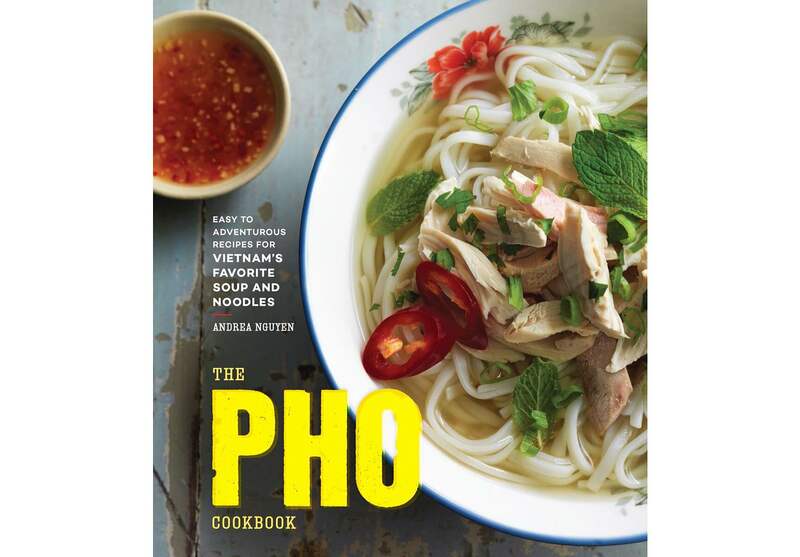 I’ve never dreamed of making the stuff at home though, but that could change once I’ve got Andrea Nguyen’s upcoming book, The Pho Cookbook: Easy to Adventurous Recipes for Vietnam’s Favorite Soup and Noodles, in my hands. Andrea Nguyen first tasted pho in Vietnam as a child, sitting at a Saigon street stall with her parents. That experience sparked a lifelong love of the iconic noodle soup, long before it became a cult food item in the United States. Here Andrea dives deep into pho’s lively past, visiting its birthplace and then teaching you how to successfully make it at home. Options range from quick weeknight cheats to impressive weekend feasts with broth and condiments from scratch, as well as other pho rice noodle favorites. Over fifty versatile recipes, including snacks, salads, companion dishes, and vegetarian and gluten-free options, welcome everyone to the pho table. With a thoughtful guide on ingredients and techniques, plus evocative location photography and deep historical knowledge, The Pho Cookbook enables you to make this comforting classic your own. You can preview a bit of what the book will offer by reading this introductory excerpt at Lucky Peach, which discusses the fascinating history of how pho came to be what it is today. You can also check out her interesting recipe for Pressure Cooker Beef Pho at The New York Times.